InflammaCORE is an advanced nutritional formula built to address immune challenges, maintain normal inflammatory balance and strengthen gastrointestinal barrier function. Inflammation is a natural part of the body’s immune response, a cascade triggered to protect the body and maintain normal tissue repair. Acute inflammation is the body’s initial response to harmful stimuli in which plasma and immune cells are relocated from the blood into injured tissues. This movement is followed by a cascade of biochemical events which advance the normal inflammatory response. When inflammation is prolonged, it leads to a progressive shift in the type of cells present at the site of inflammation and is characterized by simultaneous destruction and healing of the tissue. It is essential to maintain normal inflammatory balance to achieve optimal health. Mix 2 scoops (50.5 grams) of InflammaCORE with 8-10 ounces of the beverage of your choice to the desired thickness, once daily or as recommended by your health care professional. Curcumin is the active compound in turmeric, an orange-colored spice used for thousands of years in cooking and medicine. Curcumin has been shown to have strong NFkB-modulating properties and plays a crucial role in maintaining normal inflammatory balance. Studies have shown that curcumin specifically maintains normal inflammatory balance in the most significant GI challenges. Green tea, used for centuries as a health tonic, is a potent antioxidant and is effective for maintaining normal inflammatory balance. Its most researched active component, EGCg, has been repeatedly shown to protect against free radical damage and balance markers of inflammation. This popular Chinese botanical has been shown to maintain normal inflammatory balance and support cardiovascular health. Skullcap possesses potent antioxidant properties. Research has shown it attenuates NFkB and inhibits COX-2 expression. A flavonoid found in a variety of botanicals, vegetables and fruits, quercetin is a potent antioxidant that inhibits inducible ICAM-1 expression, an important pathway for maintaining normal inflammatory balance. 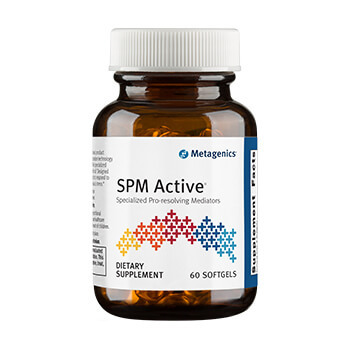 It has also been shown to enhance epithelial barrier function in the intestines by stabilizing mast cells through the release of cell-protective factors.